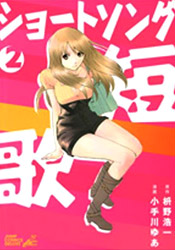 By day, highschool girl Aikawa Maki is a normal girl who has fun with her classmates Yuu, Michiru, Renge and Mina. By night however, where streetfights take place, she becomes an unrivaled lethal air-borne attacks user with a succession of victories: Airmaster. 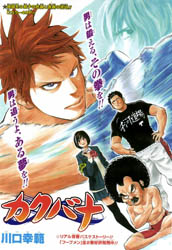 Various strong people, fascinated by this girl's strength, will come to challenge her in battle...this vivid street-fighting comic starts here!!! Ichinose Tarou is at the age where he's really awkward about girls, but he's been chosen to perform along with a girl in a year end festival. 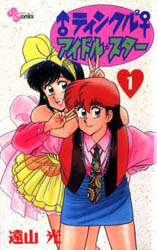 His partner is Momozono Anne, the daughter of his father's boss, who seems to be in love with Tarou for some unknown reason. The two of them are supposed to build a snow demon and destroy it together at the festival, but Tarou would be happy to avoid Anne and do all the work alone. How will Tarou deal with this unwanted intruder in his life? Anzu goes to a preschool with her friends, the shy Koume and the eccentric Hiiragi. Anzu has a crush on their male caretaker, Tsuchida, so the three of them are constantly trying to get him to notice her. However, Tsuchida is clearly much more interested in Anzu's "rival", the pretty Yamamoto, who supervises the class next door. 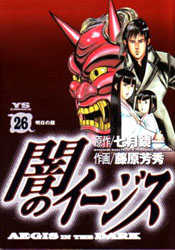 Senkawa Yukito had the misfortune of being born as the son of the champion fighter Senkawa Rintarou. Yukito was trained in his father's dojo since the age of 3, in order for him to become a world fighting champion. Not only does Yukito have his father's dreams to fulfill, he also feels obligated to his friend Kikuchi, who had to retire after an injury. He really wishes he could do other things instead, though, like being active in his high school theatre club. Will he be able to fulfill all of his obligations to his father and his friends at the dojo, and still make time for the things he wants to do? When a god's name is no longer known by anyone, it will become a demon and disappear. For one nearly forgotten god at a decrepit old shrine, an unlikely friendship with a girl named Kokono may be the only thing that can save her from this fate. 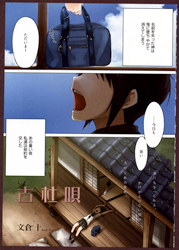 Hino Akiharu lost his parents when he was an elementary student and was taken in by his uncle's family. One day, he sees on the news about the newly-established Hakureiryou Gakuin, a school which was re-built from an elite girls' school. He decides to take the exam for that school and succeeds in entering the House Management Department (the place to train maids & butlers). He wants to become a butler, although his appearance scares the ladies. Akiharu has a sinister look in his eyes, a scar on his right eyebrow, and bristled up hair. Add 3 piercings on his ears and he indeed has a typical bad boy look on him. The year is 1590, during the turbulent Sengoku era of Japan. A girl who calls herself Izumi, the sole survivor of the destruction of her village, has come into possession of a set of very powerful keys. These keys can give their wielder access to powerful weapons that could change the course of the era. In her flight from those who want to kill her and take them, she has washed up in a buddhist monastery, where she has met the monk Tenkai. Tenkai, who takes an interest in her troubles, may be more than he appears! "Baren" is the name of a gathering of writers of tanka, a form of Japanese short poetry. Under the impression he's going on a date with his crush, Maiko, 19-year-old Kunitomo Katsuo finds himself pulled into the group. Surprisingly, Katsuo's first tanka is well-received, especially by the popular published tanka poet Iga Kansuke, who also happens to be Maiko's lover. Katsuo and Kansuke couldn't be more different; Kansuke is jaded, cruel, and sophisticated, while Katsuo is a modest, friendly virgin. Kansuke, darkly obsessed with his innocent young rival, takes Katsuo under his wing. Will Katsuo be able to retain both his skill with words and his good-natured heart as he gets pulled deeper into the drama of the tanka community? Hiroyuki is a student on a scholarship to an elite school for the rich. Being the only normal kid there, all of the other students treat him pretty badly. But his life changes forever on the day he accidentally collides with the rich and beautiful Saionji Haruka. After a lot of violence and an accidental kiss from the angry Haruka, a bewildered Hiroyuki finds himself married to her! As for Haruka, by the end of the day she's lost her home, her fortune, and her family, and only has one lousy, poor, "husband" (Hiroyuki) to show for it. Will the two of them be able to adapt to their life together, or will they kill each other first?! Living in a world of darkness, Karito Tate is the ultimate freelance bodyguard. Called the "Shield of the Aegis", he is sought out by those who can be helped by no one else. Those who wish to find him must go to the Siren Tea Room and answer a riddle from a little girl, Ana Ridoru, who decides which cases Tate will undertake. However, according to the authorities, the man called Karito Tate died 5 years ago! Who and what exactly is this mysterious bodyguard? A few stood out to me this time. Short Song was my favorite. I've never read much Japanese poetry before, but the poems interspersed through the story ("written" by the characters) were really fun. Even more than that, the characterization and the complexities of the plot kept me interested. 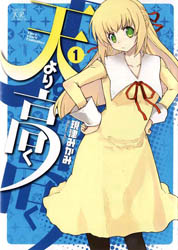 Ten Yori Takaku was pretty ridiculous, but in a funny way. 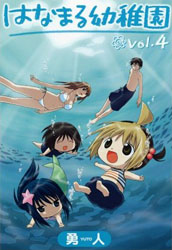 Ko Mori Uta was very short, but the art is quite pretty and all in color. There were two that piqued my interests and they were Ko Mori Uta due to the fact that it's about a 'god' and it sort of reminds me a bit like Natsume Yuujinchou (which you should check out since it's now licensed), and Short Song because it's a seinen romance and I'm always looking for a good seinen romance. The dynamic between the characters also sound interesting - the 'evil' mature man manipulating the 'innocent' and naive boy~. Normally I might be interested in Twinkle Twinkle Idol Star, but the art is turning me a bit off. 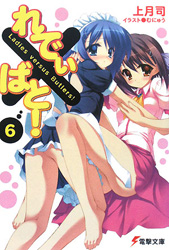 ^^;; However, if you're looking for an anime tie-in, both Hanamaru Youchien and Ladies versus Butlers! have an anime so you might want to check out the manga if you like the anime. LvB will definitely appeal to the moe crowd, although I heard the anime is a lot more fanservicey. 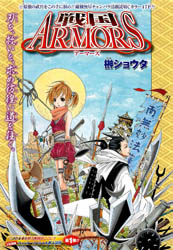 Those looking for an action manga should check out Sengoku ARMORS, Air Master or Yami no Aegis. If you haven't done so already, check out the scanlations of the mangas from previous shout outs which have been recently scanlated: the first two chapters of romantic shoujo Uta No Prince-sama, action fantasy one-shot Oumagadoki Doubutsuen and psychological drama Judge. The only that looks interesting is Kakubara. lol so Air Master is actually up there, I wonder if anyone will actually brave it. Wow! Airmaster, talk about old school. I think I've had the complete series (the books) for 5 years! 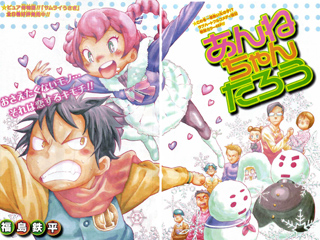 Also, it'd be real great if the last 3 volumes were tankou, as of now they are magazine raws. 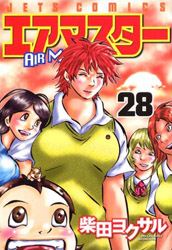 I'd just like to say that nexGear scanlated the first volume of Airmaster quite a few years ago. The project got dropped since I got busy IRL, but it would be great if someone picked up where I left off! I may upload this first volume if people are interested. I would love to work on airmaster if anyone would provide translation... i could cooperate with some group on it as an cleaner/typesetter ... anyone interested pm me.